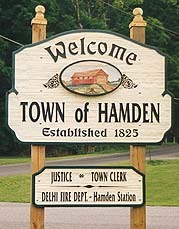 Hamden, New York, Delaware County, in the foothills of the Catskill Mountains. Watch this space for information! Thanks for visiting! Check back soon.